...[C]olumnist Harriet Van Horne was obviously captivated by the "gentle-voiced Apache maiden...who appeared on the stage in tribal dress." Once the furor was over, suggested Van Horne, "people will still remember that lovely Littlefeather, in her shining braids, explaining as best she could why the most honored actor of the year was letting the chalice pass." The columnist's "heart went out to that Apache lass in her long braids." And that, she asserted, was "precisely what Marlon Brando had in mind. Was that what Brando had in mind? If so, he had selected his propaganda device shrewdly, for it was, simply, that of the lovely and selfless Indian princess, possibly the most enduring image this land has known. Brando's braided messenger was Pocahontas and U-le-lah and Minnehaha and Redwing and Sacagawea and Sonseeahray and Summer-Fall-Winter-Spring and, some would say, the allegorical America. 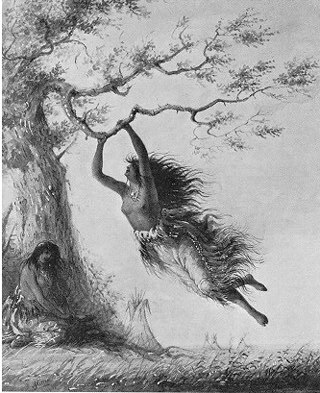 She was the female manifestation of the Noble Savage myth, changed little from the image created centuries earlier, and far more endearing and viable in the twentieth century than her male counterpart, the forest nobleman. Through the nation's growing years Pocahontas the Nonpareil—intelligent, guileless, lovely, courageous—turned into Pocahontas the Imitated. Not a season went by that some author, or artist, or playwright, or trademark maker did not call upon her image. As representations changed, the images of First Nations women as Indian princesses who embodied mystery and exoticism began to emerge. 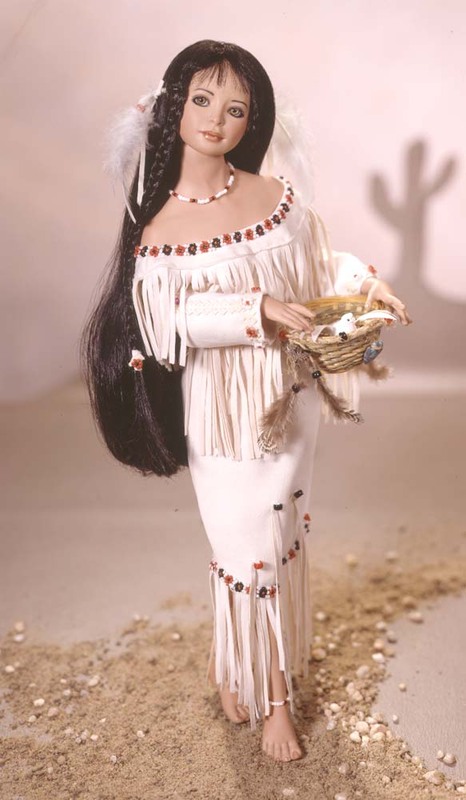 During the post World War I era, the Indian princess is repeatedly portrayed alone in the pristine wilderness, scantily clad in a buckskin or tunic dress, sporting a jaunty feather over two long braids. Most striking, however, is that all of the models are notably white-skinned women. [T]he Shoshone (like other North American Indians) had no concept of royalty, as Lewis's journals make clear. The "Indian princess" stereotype turns up a lot in misleading history, and even more in third-rate television and movie westerns. 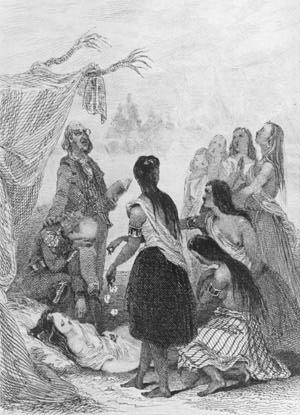 The stock Indian princess saves the white hero from her less enlightened brethren, and is often depicted as being tall, beautiful, and freakishly light-skinned. Think of Sacagawea as portrayed in the 1955 film The Far Horizons by that great Native American actress, Donna Reed. Stedman quotes a description from the 1963 novel The Gates of the Mountains that fits many of the Indian "princesses." Note how the woman must look and act Caucasian to be palatable to the intended audience. By definition, beauty is in the eye of the white, majority beholder. 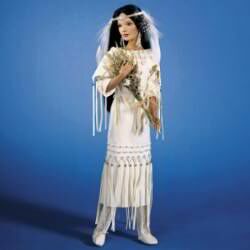 Sacajawea was not shy, but appealing soft of speech and manner. And she was gracefully feminine beyond any woman I had seen....Her head was not elongated, as so many of the Indians, but rather small and round, Caucasian in shape. So, too, were her features Caucasian. 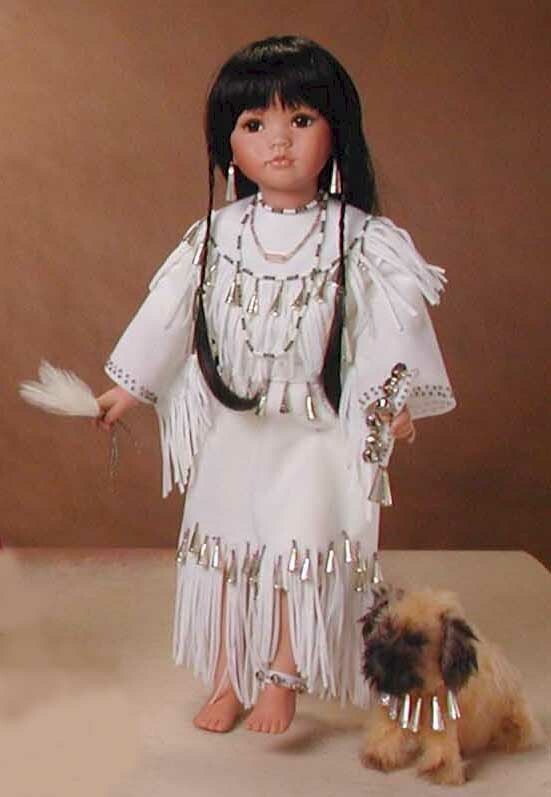 Sacajawea was not only an uncommonly pretty young girl, she was a regal woman by any standard of any race. No man who ever knew her, was quite the same again. Grace was hers, and good manners. Intelligence she had, and a quick and lively tongue. Dignity covered her every move. She could look like a queen while gutting an elk....She had no crown but her auburn hair....But Sacajawea was a ruler of men's hearts by God's will. In short, Pocahontas and company were the female equivalent of the male Indian helpmates: Man Friday, Chingachgook, Tonto. James W. Loewen discusses the role of these "good Indians" in his book Lies Across America. One element Stedman doesn't address is La Belle Sauvage's sexual overtones. Western men have always thought of "foreign" or "exotic" women as delectable forbidden fruit. Whether it was nubile black slaves, fiery Latina peasants, or demure Asian geishas, they presumed the servile facade hid a siren of smoldering sexuality. As Stedman's "ruler of men's hearts" example shows, the Indian princess was little different. Other examples reinforce the point. Malinche, the slave girl who translated the Aztec language for Cortés, became his mistress and bore him a son. In Dances with Wolves, Kevin Costner makes a beeline for the comely Indian maiden, who turns out to be a captured white woman. People (including Disney's filmmakers) want to believe Pocahontas had blissful romances with John Smith and John Rolfe. 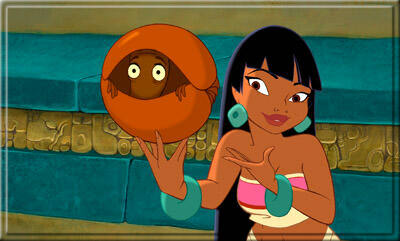 As in the rest of our culture, we've made the iconic Indian princess more overtly sexual in recent years. She's still with us in old Cher videos, movies like Road to El Dorado, and comics like GEN13. 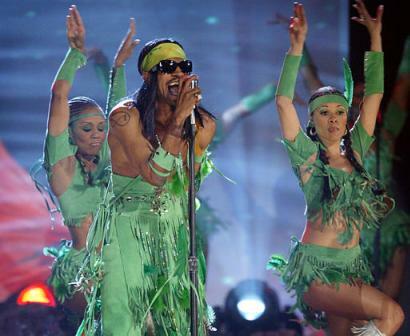 And each time she reappears—for instance, in the OutKast outrage—people are likely to protest. Perhaps because of this, you don't see the image much in the mainstream media anymore. But the more innocent version is still on display. Oddly, you can find it often in mass-market dolls, plates, and other alleged collectors' items. Tourist shops in Indian Country and at kitschy places like Disneyland also carry the retrograde icons. During my three years as Executive Director of the National Congress of American Indians it was a rare day when some white didn't visit my office and proudly proclaim that he or she was of Indian descent. Cherokee was the most popular tribe of their choice and many people placed the Cherokees anywhere from Maine to Washington State. Mohawk, Sioux, and Chippewa were next in popularity. Occasionally, I would be told about some mythical tribe from lower Pennsylvania, Virginia, or Massachusetts which had spawned the white standing before me. At times I became quite defensive about being a Sioux when these white people had a pedigree that was so much more respectable than mine. But eventually I came to understand their need to identify as partially Indian and did not resent them. I would confirm their wildest stories about their Indian ancestry and would add a few tales of my own hoping that they would be able to accept themselves someday and leave us alone. Whites claiming Indian blood generally tend to reinforce mythical beliefs about Indians. All but one person I met who claimed Indian blood claimed it on their grandmother's side. I once did a projection backward and discovered that evidently most tribes were entirely female for the first three hundred years of white occupation. No one, it seemed, wanted to claim a male Indian as a forebear. It doesn't take much insight into racial attitudes to understand the real meaning of the Indian grandmother complex that plagues certain whites. 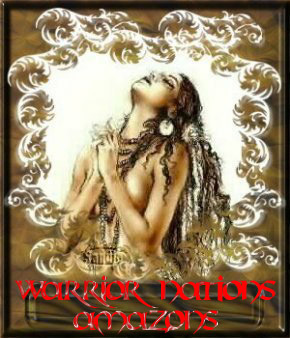 A male ancestor has too much of the aura of the savage warrior, the unknown primitive, the instinctive animal, to make him a respectable member of the family tree. But a young Indian princess? Ah, there was royalty for the taking. Somehow the white was linked with a noble house of gentility and culture if his grandmother was an Indian princess who ran away with an intrepid pioneer. And royalty has always been an unconscious but all-consuming goal of the European immigrant. Ice skater Krylova dances "Last of the Mohicans"
Tonto and the "good Indian"